If you are looking for a great way to instantly grab your audience’s attention, begin the “My Friend Has Three Eyes” trick by saying “I’d like to introduce you to my friend, he has 3 eyes”. This is sure to turn heads right from the beginning. Then you continue with the trick that was shown in the tutorial. “My Friends Has Three Eyes” is great for demonstrating the usefulness of having a confederate or what is known in magic as a ‘stooge’ or an someone who lurks in the crowd who is ‘in’ on what is happening in the magic trick. The confederates are a part of the trick but it is important that the audience is none the wiser. Confederates are commonly used in mind reading acts. Sometimes whole acts consist of using a confederate throughout the performance. This has been previously discussed in lessons about how to use secret codes. My Friend Has Three Eyes doesn’t involve a secret code, just some sneaky deception incorporated in a fun way. When you are performing, try not to actually convince the audience that your friend has psychic powers. Makes sure you take a light hearted approach when you are doing the trick. This tends to work well as they understand that you are tricking them but they still have a low percentage chance that they will work out how you are pulling off this trick. Try to perform this trick a maximum of two times at one time. 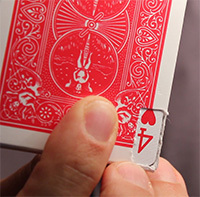 If you are worried that the audience will want to examine the cards or the box, make sure you have a fully examinable trick ready to go after completing the trick. This is the best way to avoid having a nosey audience examining your props. Did you enjoy this “My Friend Has Three Eyes” Trick? 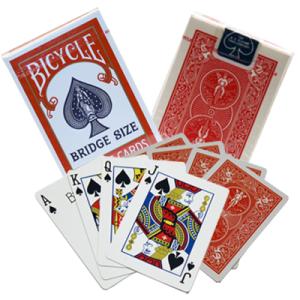 To learn more simple magic tricks Click here! How did you cut the card to the top off the deck?